Our website lets you add posts. Here's a case study showing how to do this! Click on the link to add a new post to the page you're on. The SIGN IN button would show your user name if you were logged on, so ... time to register an account (it takes a few seconds!). 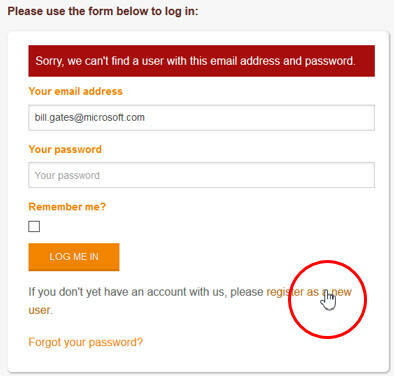 Your attempt to log on has failed, so you realise you have to register as a new user and click on the link circled. The only restrictions are that the user name must be unique (so tough if someone got there first), and the password must have at least 7 characters. Click on the link to confirm your registration. 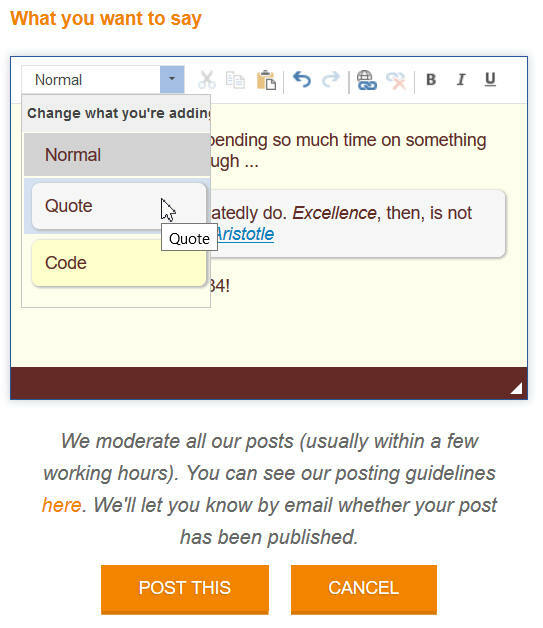 Yeah - you can now create that post! After logging in, you'll see your user name instead of the SIGN IN button at the top right of each page of our site (you can click on this to log out at any time). We'll then get back to you when we've moderated your post, which we try to do within an hour or so, letting you know whether it's live or not.